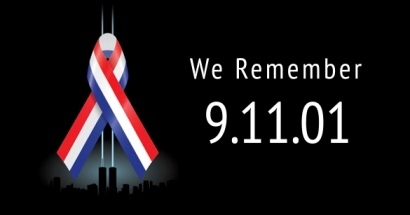 Dallas, Texas : The Foundation for Pluralism and the World Muslim Congress have announced the 4th annual 911 Memorial event to be held on Sunday, September 7, 2007 in Addison, Texas. Mike Ghouse, President of the organizations announced. “This is an annual event for all Americans to come together to rededicate our pledge to the safety and security of our nation”. On this Unity Day USA, we, the people of the United States of America; of every faith, race, ethnicity, culture and background will gather to pray for peace, unity and security of our nation and the world. Our 2008 theme is "One Nation under God". Our religious leaders will seek guidance and wisdom from their respective faiths and our Civil servants and community leaders will echo the same sentiment and suggest ways in which we as individuals can work toward creating and sustaining cohesive and thriving local communities. The American Muslims have taken the initiative to remember one of the greatest tragedies in the history of our nation by bringing about a positive change to the 9/11 event. We wish to honor the lives of thousands of fellow Americans on that day and we have committed to make this day, the Sunday before 9/11, a day of Unity of Americans to pledge to the peace, unity and prosperity of our nation. Unity Day USA is to be held on Sunday before September 11 of each year, as was suggested by Congressman Pete Sessions, Kenny Marchant and Ralph Hall in a luncheon meeting in Dallas. Congressman Sessions’ office is considering to proclaim the Unity Day USA as National Day along with Congresswoman Nancy Pelosi who has shown the same interest. If you wish to volunteer and or sponsor the event, please send the information to info@foundationforpluralism.com. Your comments at click here and the Summary for 2007.